Andrea Macchia, Enrico Greco, Biagia Antonella Chiarandà, Nicoletta Barbabietola (ed. ), YOCOCU. 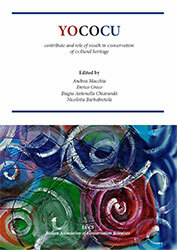 Contribute and Role of Youth in Conservation of Cultural Heritage, Rome, Italian Association of Conservation Scientist, 2011.